Home Obituary Ancel Boswell, Jr.
Services for Ancel Boswell, Jr. will be held at 11:00 A.M. Thursday, October 25, 2018 at the First Baptist Church of Hearne with Rev. James Hooper officiating. Burial following at 3:00 P.M. in Refuge Cemetery, Grapeland, Texas with Masonic rites accorded by the Franklin Texas group. A visitation will be held from 10:00 A.M. to 11:00 A.M. at the church in Hearne prior to service. A visitation was held from 6:00 to 8:00 P.M. Wednesday, October 24, 2018 in Grapeland at Bailey & Foster Funeral Chapel. Arrangements have been entrusted to Bailey & Foster. Ancel Boswell, Jr. 96 of Hearne went to his heavenly home on Sunday, October 21, 2018. Ancel Boswell, Jr. was born July 27, 1922 in the Elliott Community by parents, Ancel Boswell, Sr. and Janie Larkin Boswell of Robertson County. Ancel attended public schools in Elliott, Hearne, and Franklin. He graduated from Franklin High School in 1941. He was active in FFA, sports and a student class officer. After Pearl Harbor Ancel joined the military where he served in the Army Air Force until WWII was over. When he returned from overseas Ancel went to work for Humble Pipeline Company for 10 years. He then went to work for Celanese Corporation of America Plant at Deer Park, Texas, later becoming Salvay Corporation of America. 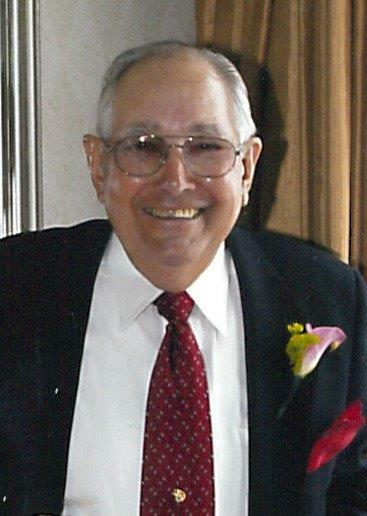 Upon retirement Ancel served as pipeline superintendant for South Texas Pipeline Company at Bay City, Texas. Ancel was preceded in death by his parents, Ancel Boswell, Sr. and Janie Boswell, brothers Alfred and Oliver Boswell, sister Janie Williamson, brother-in-law Bob Williamson and first love Ara Belle Brown Boswell wife of 49 years. He is survived by his loving wife of 18 years, Irene Couch Boswell of Hearne, Texas, two nieces and one nephew. Honorary pallbearers were Don Rice, Gus Mutcher, Ed Knatt and Jim Dawson. Next articleHORACE MCQUEEN: How Did We Get Here?